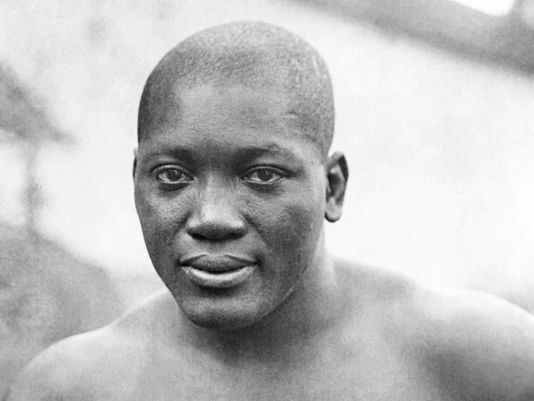 Mauricio Sulaimán: May 24 will be registered in the books of history as a great day for the sport of boxing, human equality and inclusion, as the President of the United States of America, Donald Trump, signed the presidential pardon of boxer Jack Johnson at the Oval Office of the White House in Washington, D. C.
Jack Johnson was the first black boxer to conquer the heavyweight championship of the world. He suffered the discrimination and racial abuse of power, which caused him jail time but most importantly the loss of his honor, as his name was tainted for generations to come. It was the wish from thousands, even millions to see this wrong corrected. It was the efforts of thousands for decades to get this pardon to become a reality. The WBC proudly led some of the efforts with the support of thousands of signatures of boxers and members of the boxing community, including the efforts of U.S. Senators like John McCain, Harry Reid, and Representative King throughout the years, and then the leadership of the greatest ambassador that boxing has ever had after Muhammad Ali, Sylvester Stallone, who was able to present the petition to President Trump. I would like to thank all of you who participated in this process in one way or another as the end result is what all have been expecting for many years and today the name of legendary boxing hero, Jack Johnson, has been cleaned for eternity. Letter from Jose Sulaiman at left. Similar letters were sent to President Obama, President Bush and President Clinton during the process. Petition letters at right signed by world champions including Muhammad Ali, Sugar Ray Leonard, George Foreman, Nino Benvenuti, Julio Cesar Chavez, Lennox Lewis, Larry Holmes, and others. Following you will find some of the transcript from the official pronouncement by President Trump. THE PRESIDENT: Thank you very much. This was set up quite a long time ago. And while this is a very interesting day we have going, this was very important to Sylvester Stallone – my friend for a long time, Sly – and the whole group. We have incredible people here. We have the current heavyweight champion of the world, Deontay Wilder. He’s 40 and 0. This gentleman right here. He’s 40 and 0, with 39 knockouts. And we have Lennox Lewis, who, as you know, is one of the greatest heavyweight champions of all time. Unbelievable heart, and, in all fairness, unbelievable talent. He was a talented, talented fighter. A great and talented fighter. And we also have Linda Bell Haywood, the maternal great-great niece of Jack Johnson. Now, we all sort of have heard of Jack Johnson – had a very tough life, and an interesting life. One of the greatest fighters – Lennox was just telling me – one of the greatest fighters ever of the early 1900s. Today, as President, I’ve issued an executive grant of clemency, a full pardon, posthumously, to John Arthur “Jack” Johnson – he was known as “Jack Johnson” – the first African American heavyweight champion of the world. A truly great fighter. Had a tough life. They say he violated the Mann Act, and he had a conviction that occurred during a period of tremendous racial tension in the United States more than a century ago. Johnson served 10 months in federal prison for what many view as a racially motivated injustice. He was treated very rough, very tough. So, I am taking this very righteous step, I believe, to correct a wrong that occurred in our history, and to honor a truly legendary boxing champion, legendary athlete, and a person that, when people got to know him, they really liked him and they really thought he was treated unfairly as a human being and unfairly as a champion. So, I’m going to be signing that. Don, if you bring that up. And then if you’d like to ask a couple of questions to the folks, I think that Mauricio Sulaiman – we have José Sulaiman, a name I’ve heard probably more than I’ve heard any boxer’s name. He’s a big power in the world of boxing, and somehow your name is mentioned at every major match, and Mauricio Sulaiman. And I think, in this case, Mauricio is going to say a few words. But let me sign this first so we get it done. And congratulations, because I know you all fought very hard to have this taken care of. I know Lennox, and Sly, and my friend, Keith – where’s Keith? And my friend, Keith, who is a very successful guy. And the champ. You all fought very, very hard to get this done. So, it’s my honor to do it. It’s about time. Mauricio, do you want to say something about the champ? MAURICIO SULAIMAN: Mr. President, on behalf of the world of boxing, I would like to praise, congratulate, and thank you for taking this gigantic step for human equality and inclusion. Jack Johnson was the inspiration of many, including Muhammad Ali. This is a great day for the sport, a great day for humanity. And I’m just very proud to be here with the best ambassador boxing has ever had, Sylvester Stallone. MAURICIO SULAIMAN: “Rocky” has motivated so many generations. Lennox Lewis, one of the greatest champions in the history of boxing. And our current king, Deontay Wilder. It is just an unbelievable day for us. And all I can say, just the way you promoted our sport in the ’90s, you’re doing so many things now for the sport of boxing, which is unbelievable, and we cannot thank you enough. THE PRESIDENT: And our country is doing great. It’s nice to see, but we are really doing great. LENNOX LEWIS: Yeah, you know, Jack Johnson is a great inspiration to me, especially throughout my whole career. And I was always wondering how come he didn’t get a lot of press and what the situation was with him. But I’m very happy that I was here this historic day for Mr. Johnson and his family. And I think it’s going to weigh a heavy weight around the world that this actually happened, and everybody will thank you, and I’ll thank you as well. THE PRESIDENT: I think it’s great when a great champion, who, in theory, doesn’t have to worry about somebody from the early part of the century – I think it’s great when a great champion comes to honor and even press that another great champion be honored. I think that’s a great thing. LENNOX LEWIS: Yes, thank you. SYLVESTER STALLONE: I want to thank you, Mr. President. It’s incredible that you’ve done this because – it’s one thing, I’ve been so blessed with the “Rocky” situation and playing that character. And actually, when I was writing it, I’m thinking about inspirations for this Apollo Creed, and that was Jack Johnson – this bigger than life, incredible character, and who is, you know, treated so unfairly – his prime was taken away – but somehow he still managed to persevere and kept a smile on his face, and he’s truly an inspirational character. So, this has been a long time coming. Of course, Linda, thank you very much. You’re so amazing. Probably the – I don’t know how many blood relatives are left, but you’re, like, the one that really, really fought for him, and I appreciate that. THE PRESIDENT: Linda, would you like to say something on behalf of Jack? HAYWOOD: Yes. This has been a long time coming. And I am really overwhelmed because, for so long, my family was deeply ashamed that my uncle went to prison because of how he was treated, and they never really spoke of him. And I’ve said many times, I did not realize and know he was my uncle until I was 12 years old because of the shame that the family carried, and most of them took it to their graves. By this pardon being issued, that would help to rewrite history and erase the shame and the humiliation that my family felt for my uncle, a great hero, being in prison unjustly. And so many people have come along with me on this journey. So many people, I cannot really thank them all. THE PRESIDENT: Champ, would you like to say a few words about Jack Johnson? DEONTAY WILDER: Yes, I would. Thank you so much. Thank you so much. The Jack Johnson pardon is something that should have never happened. You know, I’m here to support the pardon and his family. You know, this is an event that’s been long overdue, and it’s amazing to see a wrong corrected. And thanks – all thanks to Mr. President. THE PRESIDENT: Well, on behalf of the White House, on behalf of the presidency, on behalf of this country – our country is a great country, and we have done something today that was very important because we righted a wrong. It was a wrong, and a lot of people knew it. I knew it. Without being an expert on the subject, I knew it for a long time. Jack Johnson was not treated fairly. And we have corrected that, and I’m very honored to have done it, Linda.